Do you frequently record super-slow-motion 8K video? Do you want to back up your entire computer to your coin pocket? Then these measly 512-gigabyte SD cards probably aren’t cutting it. Fortunately, Lexar has a 1-terabyte card for you. Only $500! Terabyte cards have been promised for years — SanDisk said it was going to, but never made it happen. Longsys (which owns the Lexar brand) beat them to the punch, and today you can buy one. Or pay for one, anyway — it’s unclear what the shipping date is. Funnily enough, Lexar was on its way out at the time as a brand, but has since returned and no doubt this card is a way to get it back into the conversation. Beyond the capacity, the specs aren’t anything exciting; 95 MB/s read rate, slower read rate, just like any normal SD card. Well, SDXC technically, but everyone just calls them SD. Of course, a terabyte card isn’t really practical for most people. For most photographers, it would be difficult, not to mention inadvisable, to fill up a card that big before offloading or backing up. If the card gets stolen or broken or corrupted, that’s a whole lot of data you’ve just lost. On the other hand, for cameras with two card slots, one could hold a super-high-capacity card like this and the other a smaller card that you offload more frequently. If you write shots to both, it’s like an in-camera backup. Even then, a terabyte is more than most would need. But of course, we all laughed when the first gigabyte cards came out — who needs that much space? 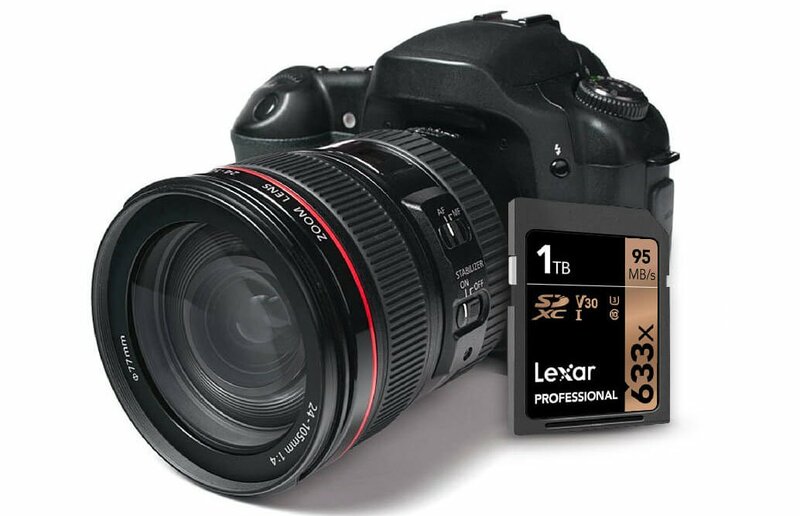 With 8K video capture becoming more common, mostly for the convenience of cropping and editing rather than for any increased fidelity, and higher frame rates being asked for in many forms of media, a terabyte actually disappears pretty quickly, even with a single shooter. So these terabyte cards will likely find a niche even if you and I don’t really need one. Even so, maybe wait for a sale.